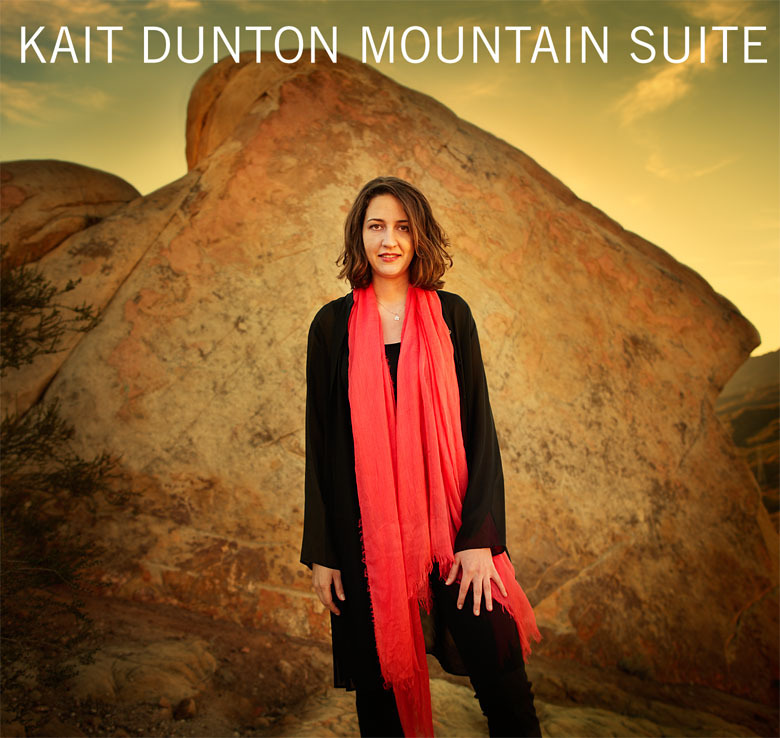 Although the compositions on Mountain Suite can stand alone, Dunton explains that the music should be taken as a whole, and thought of as a single narrative. “Mountain Suite is a journey,” Kait describes. “Whether that journey is physical, spiritual, emotional, or whatever else, is up to the listener - but many journeys take the same shape, and the music follows such an arc: deliberation, forward motion, exuberance, caution, reflection, discovery... and return.” As such, the track titles suggest abstract imagery for each stage of the journey. The trio work on the album - with Dunton on piano, Erskine on drums and Oles on bass - is especially captivating. Listen to “Frolic” and “Towards Night” to hear the full reach of the music’s emotional spectrum. The sonic quality of the album is also worth noting. Engineer Rich Breen is a master of his craft and a true friend to the music, capturing an exceptionally pure, acoustic sound. Dunton has already been recognized as an emerging talent. She was featured as one of “10 Future Female Jazz Stars” on Jazz.com and described by Don Heckman in the International Review of Music as “an extraordinary talent on the rise” with “impressive compositional skills”. Her first album, Real & Imagined, has also garnered high praise for Dunton’s writing and playing, as well as her concept for piano trio, and was named best jazz album of 2009 by Something Else! Kait studied classical piano growing up, but later discovered jazz and improvisation as an undergraduate at the University of Virginia. Trumpeter John D’earth was Kait’s first true musical mentor, and encouraged her to write without the constrictions of formal guidelines. As a result, Kait’s music has always come unfiltered and unfettered from the heart. Graduating with a BA in Spanish from UVa, she took a quick left turn towards the University of North Texas, where she then completed a Masters of Music in Jazz Studies. A born-and-raised native of Pasadena, California, Kait has since returned to her home town and is now completing a doctoral degree at the University of Southern California Thornton School of Music, where she studied under pianist Alan Pasqua and composer Vince Mendoza.